A.K.A. 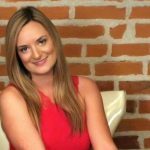 The LinkedIn Ninja, Crystal is a social media strategist that specializes in helping companies and sales professionals utilize LinkedIn to find prospects, build relationships and grow revenues. She focuses exclusively on providing LinkedIn training, LinkedIn consulting and LinkedIn coaching. She recently launched a cutting edge, interactive training program that gives individuals all of the tools they need to maximize their use of LinkedIn. Currently it is known as the only online training program that combines self-paced, pre-recorded training with personal, customized feedback and coaching so that you know if you’re doing it right. You can also review her book, "The Social Media Handbook for Financial Advisors" released by Bloomberg Press.